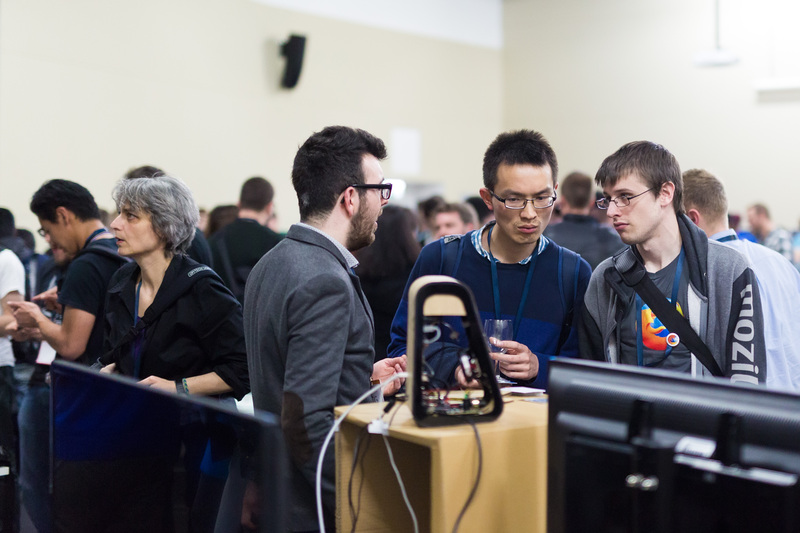 The Mozilla Festival 2015 was held over 3 days, last weekend. It was my first time and I can say due to the events that unfolded, it won’t be my last. 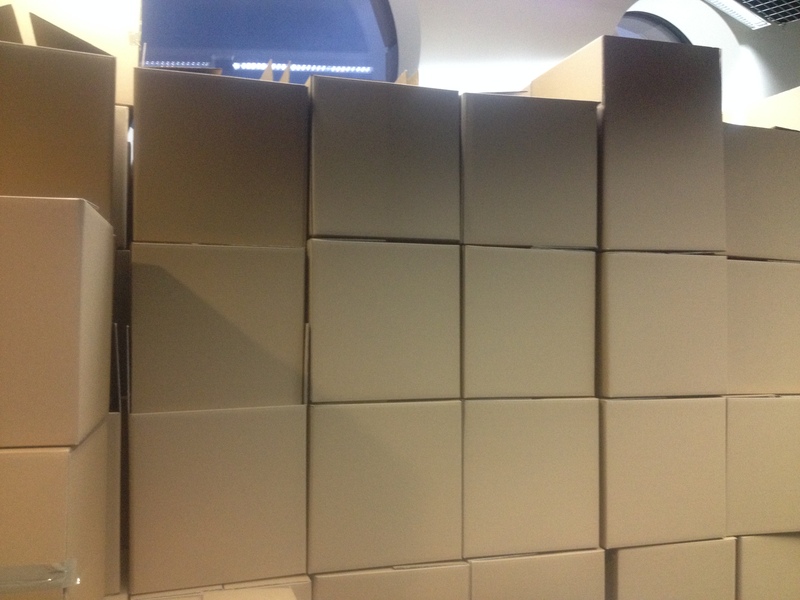 The weekend consisted of a fast paced build involving roughly 500 cardboard boxes which were assembled into a library, a garage, a garden and many other structures. After the build stage there was a sort of science expo, this gave me a sense of whet the weekend would consist of. There was many many screen based products, tackling the web in many strange and wonderful ways. This was great, as my experience with screen based design is self-admittedly lacking. 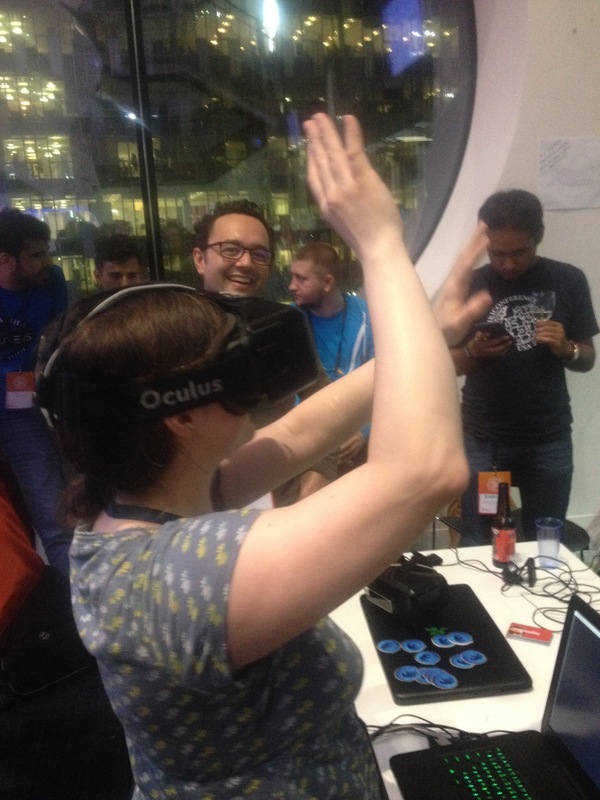 I was at MozFest of course in an educational sense as well as to promote myself as a creative designer. so this gave me the opportunity to increase my understanding and confidence in a new field. The next day it was time for me and my colleague (Sylvester) to present U-WAVE. We were based in the “Garage” section of the “Global Village”. 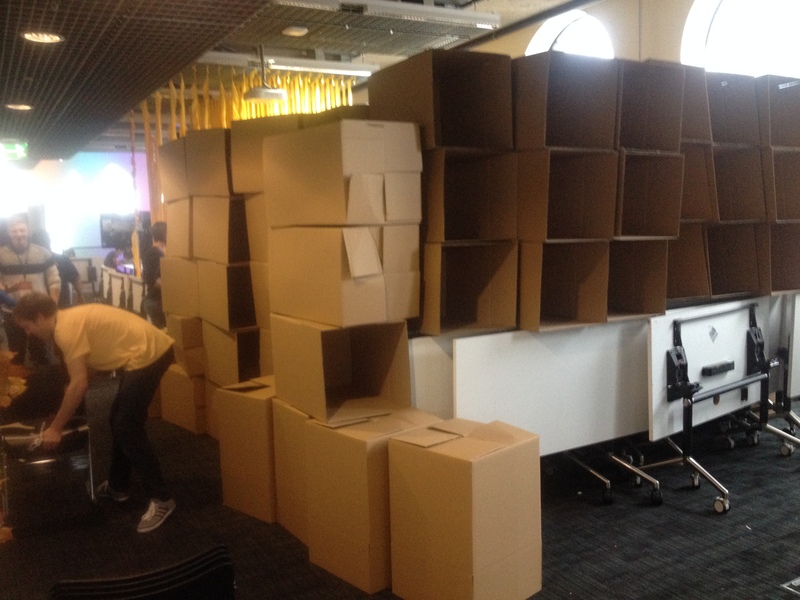 So first thing we built the structures we were going to be presenting in and around out of the hundreds of cardboard boxes that we had constructed the previous day. After that was done we started talking to people about our project. As I stated before most of the presented projects were screen based, this meant that our tangible project was a big hit. Many people took great interest in U-WAVE and even returned with their friends to show them what we had created. The biggest interest came from teachers and tech savvy creatives, there was lots of questions like “so I can make this?” and “Can I use this in my class?”. 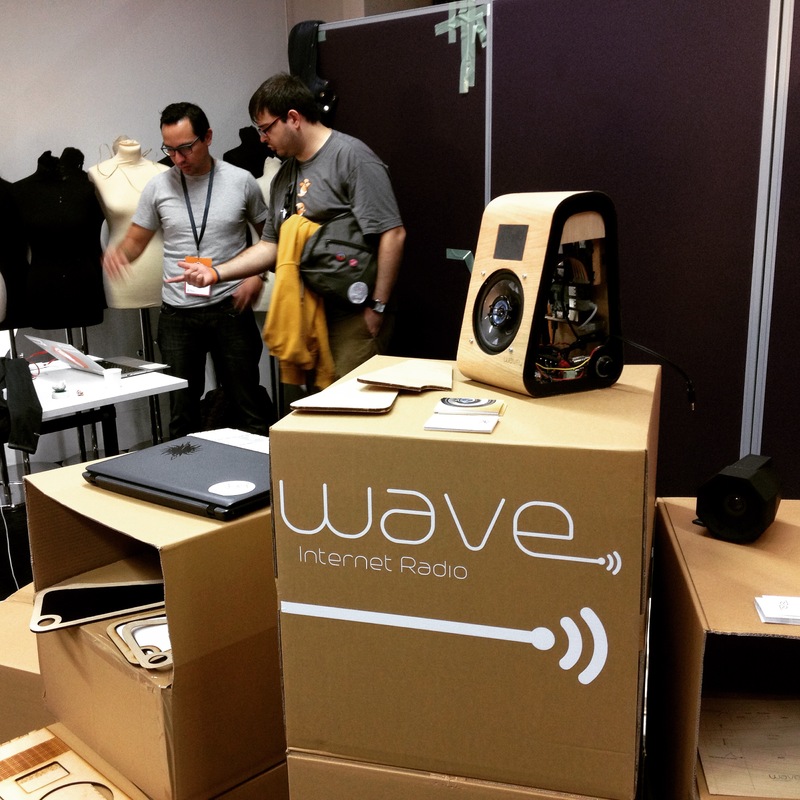 I’m happy to say that many people were inspired by U-WAVE and that there was a lot of promises of people making their own radio using our tutorial. I love to learn and something I am not proud about is my lack of knowing when it comes to screen based interfaces. 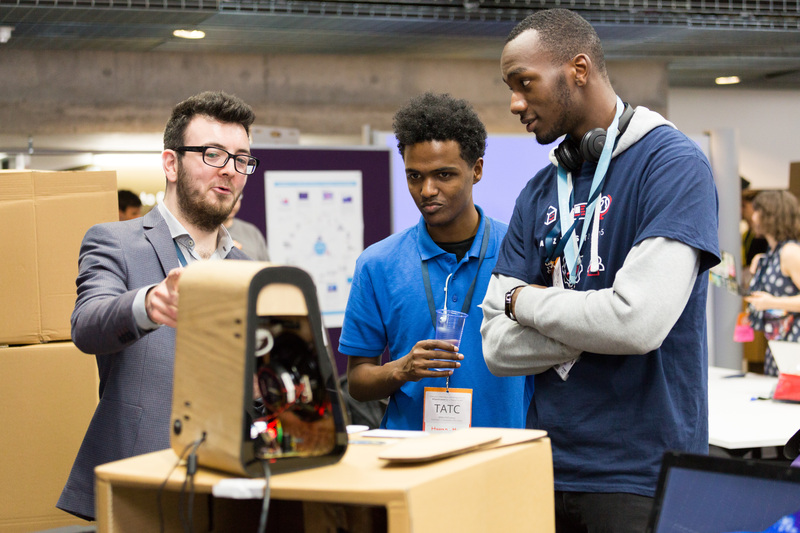 I partook in a workshop by Cyber-Ducks own Danny Bluestone and Benjamin Maugain on the second day of the event. There workshop was based around (UCD) User Centred Design in the context of App generation. Through this workshop I learned what techniques you must undergo in order to create an effectively designed experience for the end user. Finally myself and Sylvester presented and displayed U-WAVE at the closing expo at the end of the day. During this event U-WAVE gained more interest than ever before. We even had someone say “I saw this online the other day! It’s BRILLIANT. I’m making one for sure!” it was a great experience to see so many people excited about the work I was doing. The event as a whole was a great success. I was able to learn new skills as well as hone my presentation skills. On top of all that I was able to meet many interesting and passionate people working in extremely interesting fields. I will be back next year to present again I’m sure, however next time I intend to host at least one workshop to share my experiences and skills. From the start of this project we have been planning every step to coordinate with Mozilla’s open web ideology, a state of thinking that I share. I decided to make the project available to all by publishing the step by step build process online for free. The website that I used to do this is called Instructables.com; it is a completely free platform in with anyone can publish their step by step project online for open access. 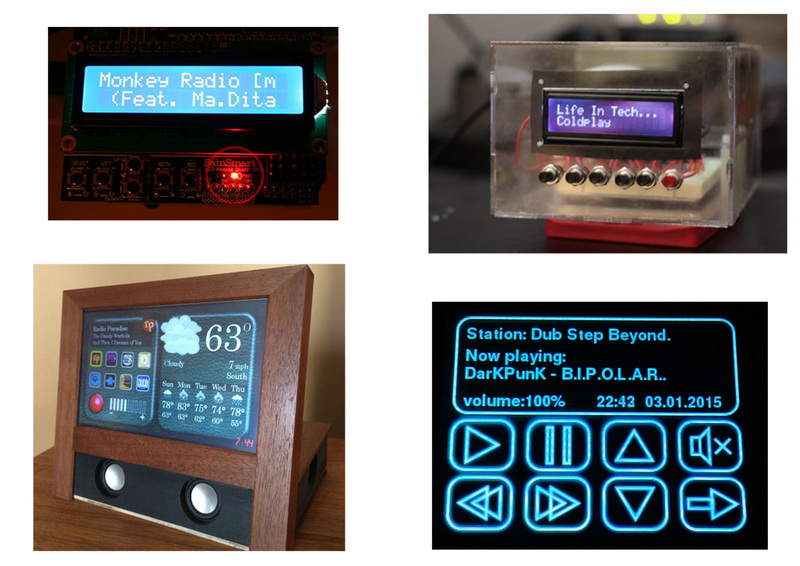 I had some experience of Instructables before, I actually published my process in create my own FM Radio back in 2011. Please follow this link to view my Instructables account. I feel that creating open-source content is an essential part of what we must do to further the creation and education of creative technology. With the current technology that exist it is easy for anyone to build and create anything that their minds can dream up. 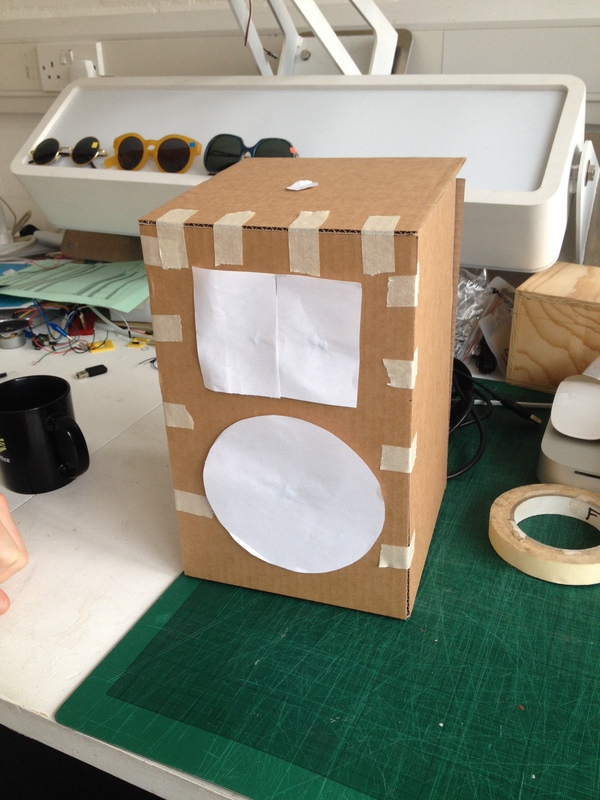 Now that the OS is working we can start to develop the radios physical form. 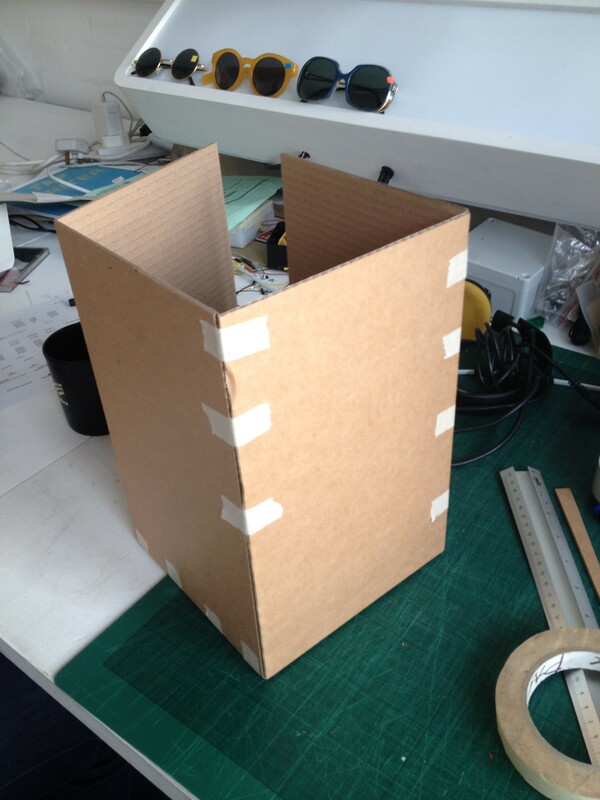 The sketch prototypes below were quick examples to demonstrate size and placement of features. It was important to us to decide of size as a starting point, this was possible due to us having already established all the technology that must be housed inside. We then laser cut a Dukta style piece and played around with the form. We were able to come up with many different variations using this piece and it allowed us to move on our concept with each attempt. As can be seen below the forms we were focusing on were tall rather than wide and had one large speaker with a small screen above. 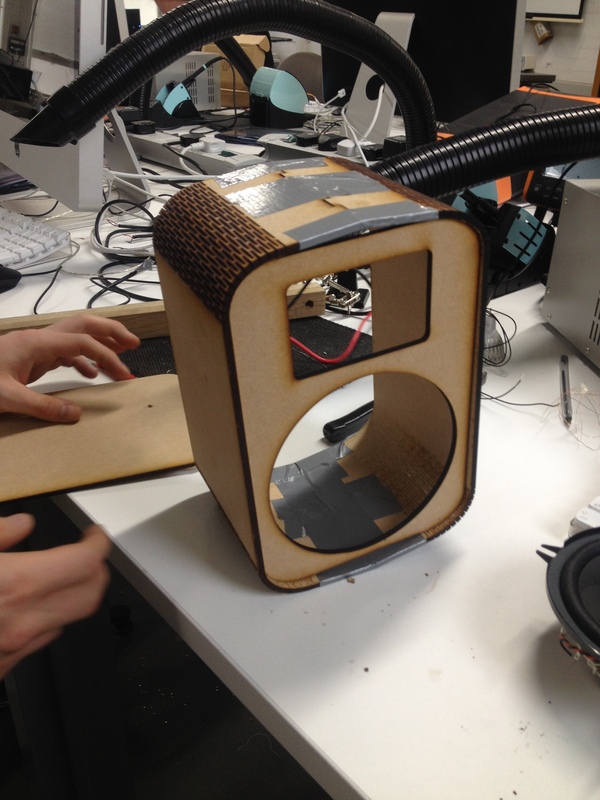 We decide whilst prototyping the form, that the speaker and screen should be angled upwards in order to allow for a better user experience and sound direction. I looked into many different interface examples, ranging from the most simple icon based layouts to the more complex multi-level set-ups. Some examples of these can be seen below. The main thing I learned from looking into interfaces is that the more functionality you have, the more difficulty the user has using it. 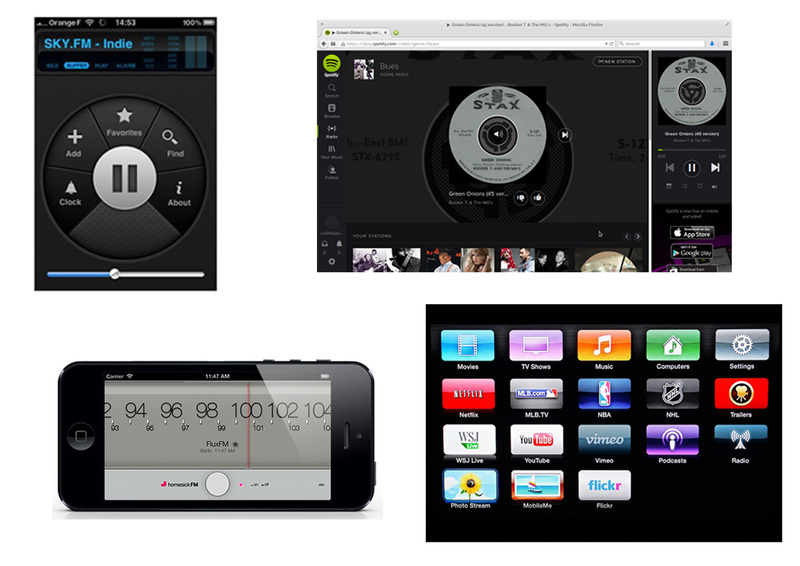 From looking into interface design and how the user interacts with them I came to the conclusion that our radio would have a simple icon based interface. 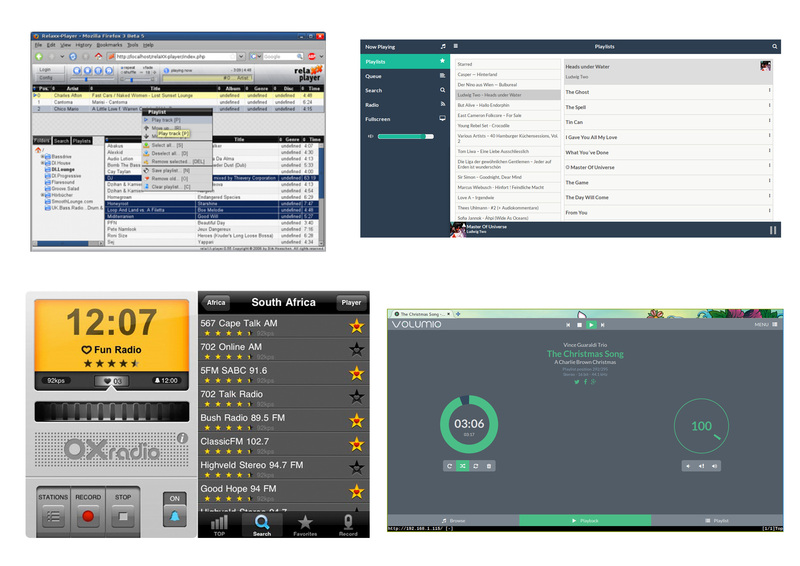 from our previous research into radio stations we knew we wanted six displayed in total. this allowed for a simple interface without any difficulties due to the screen size only being 3.5″ across. The image below is of the finished interface (displayed on a Computer screen) that myself and a good friend Petr Chutny developed. I personally have limited web development skills and so I called on a friend that I have worked with in the past. Using his experienced skills and knowledge he was able to develop this interface form me without any trouble. The interface is now hard-wired into the Musicbox server (Raspberry Pi 2) so that all external interfaces will display our new interface. We then cross referenced the results with the national statistics for the most popular radio stations by, million, listeners every week. 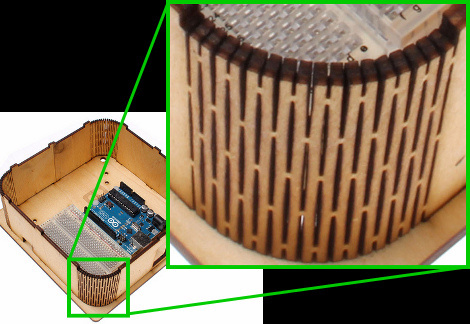 We are interested in creating a radio that doesn’t resemble a standard radio. Using the laser cutter you can place strategic cuts in order to make the wood more malleable and bend with ease, this process is called Dukta. Dukta was founded during a CTI research project in 2007 and is now used all over the world as furniture, interior decorating and art pieces. This process for wood bending is very versatile as the piece in question actually maintains its strength. 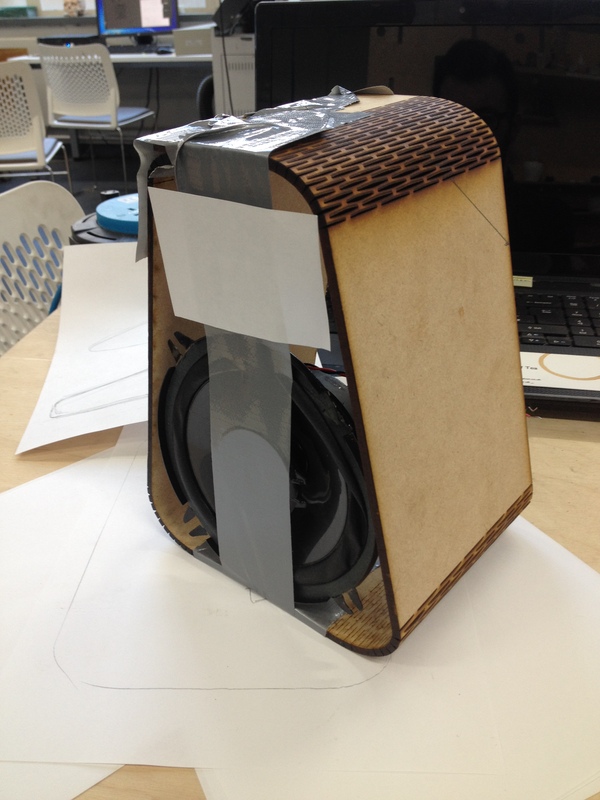 One of the most important quality’s of a good loudspeaker body is its ability to absorb sound and diffuse it. This process of diffusing sound reduces the amplification of the negative sound waves, which would otherwise distort the sound of the speaker. Dukta systems have been designed and developed for acoustically-sensitive rooms such as recording studios, cinemas and concert halls and Dukta walls have been confirmed as a highly absorbent product by the EMPA Schweiz (Swiss Federal Laboratories for Materials Science and Technology). 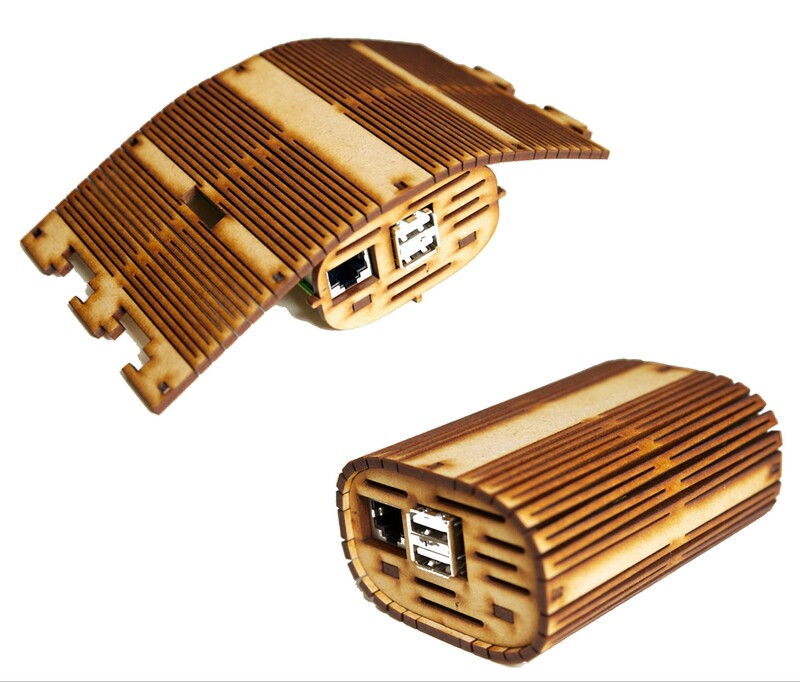 Below you can see one of our first attempts of creating a Raspberry Pi case using this process. 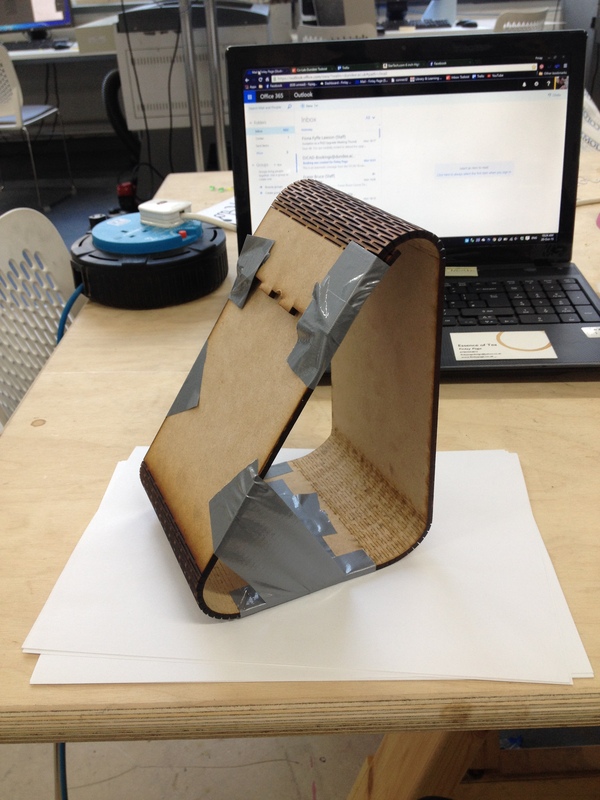 We intend to use this process of wood forming to create our final radio design. Be doing this we will create a piece that looks pleasant as well as provide a key core function.